The saying goes: “Everything is bigger in America.” While this phrase has been used to describe how America has always made everything bigger (cars, buildings, companies, etc. ), it can more than apply to its people. According to statistics from the Center of Disease Control, 70.7 percent of American adults have been classified as overweight or obese, with 37.9 percent officially classified as obese. The actual number, however, may be even higher. Quite honestly, though, it’s not much of a surprise. 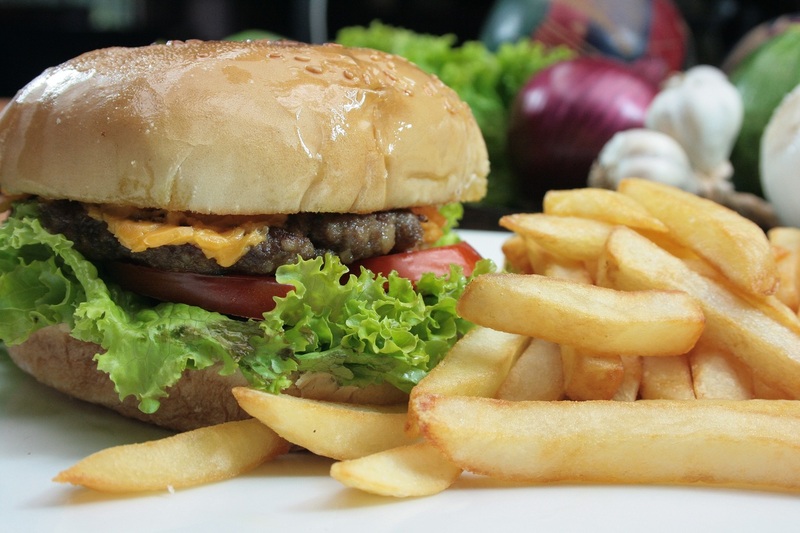 America is home to all ten of the biggest fast food corporations in the world, and its vast cultural diversity has brought in food such as sausages, hamburgers, and fries, which has furthered and deepened our waistlines. And one of the biggest victims in the United States of these foods? College students, especially considering that we, more than any, order endless amounts of pizza, burgers, Chipotle, cookies, and other fast foods. As a result, approximately 29.2 percent of university students are overweight or obese. I first came across the problem fairly recently as a member of that 29.2 percent. At around 5 foot 10, and currently weighing around 250 pounds, I have been battling weight problems virtually my entire life. I had heard so many pieces of advice such as removing sugar from my diet, reducing portions, eating more vegetables, you name it. However, I would always find myself coming back to pizza, hamburgers, and pretty much every junk food you can think of. When I started to notice that I began tipping the scales at around 270 pounds, I received an intervention from my family, pleading me to begin dropping the weight. I decided to look through why I was having this problem keeping the weight down. So, as a result, I kept a list of what foods I was craving at times where I was hungry. All of these foods had two characteristics in common: a high amount of carbohydrates and a portion size that was larger than necessary. Take Ed’s Pizza, for example. One of my favorite things to do, especially on a study night, was to order the smallest size pizza I could that was not a slice. The smallest, by the way, is a diameter of 12 inches, also known as a medium size. The bread and cheese are all filled with substances such as complex sugars and casomorphin that are both highly addictive, making us come back to the food again and again, and gaining Ed’s extra profit. That isn’t to say that Ed’s is the only one responsible. This is something that is in every pizza from every fast food restaurant you can think of. If you go around campus, you will find fast food restaurants such as Shake Shack (placing processed and highly-addictive cheese on their burgers,) Insomnia Cookies (placing a high amount of sugar in their cookies,) and Chick-Fil-A (placing additives within the chicken strips) which do the exact same things with their products. So what can we do to combat this? It’s very simple — stop eating fast-food frequently. If you want to live a happy and long life without any health problems, avoid eating at these restaurants as much as possible. That doesn’t mean stop eating there all together, you can still have these foods about once a month, but don’t order food from these restaurants when you’re desperately hungry and there is no other food available. Using my own advice, I have already lost about 15 pounds, going from 270 to 257 pounds over the last three weeks. Switching from restaurants such as Ed’s and Chick-Fil-A to restaurants such as Old Nelson’s and The Ramen Bar helped me kick my own dependency on the addictive substances within the food, and have even helped improve my own lifestyle, giving me more energy throughout the day. If we want to live a happier and healthier life, it’s clear that we have to stop frequently eating at places that serve unhealthy food. Sure, it may cost a bit more financially, but that’s far better compared to what it may cost us in the future.